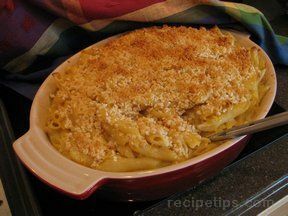 Creamy macaroni and cheese that melts in your mouth. 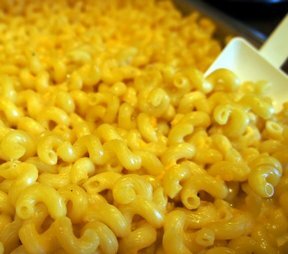 This homemade macaroni and cheese will have you hooked. Prepare macaroni according to package directions; drain and set aside. Melt butter in a large heavy sauce pan over medium-high heat. Slowly wisk in flour until smooth; cook; whisking for 2 minutes. Gradually wisk in milk, black and red pepper. Cook, whisking constantly for 15 minutes or until thick and bubbly; remove from heat. Stir in shredded cheddar, parmesan and 1/2 cheese product, until smooth. 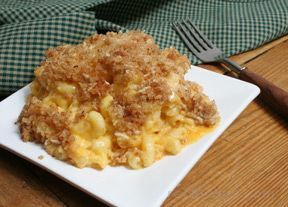 Stir macaroni into cheese mixture and pour into a lightly greased 11x17 baking dish. Sprinkle evenly with remaining cheese product. Bake at 350 degrees for 30-35 minutes, or until lightly browned. Let stand for 5 minutes. "jwc? is it really good I want to make this for my birthday."